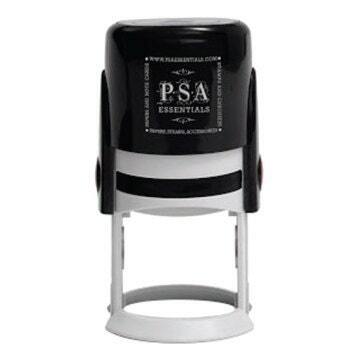 This is a Self-inking Return Address Stamps Designed by Natalie Chang, exclusively for PSA Essentials! 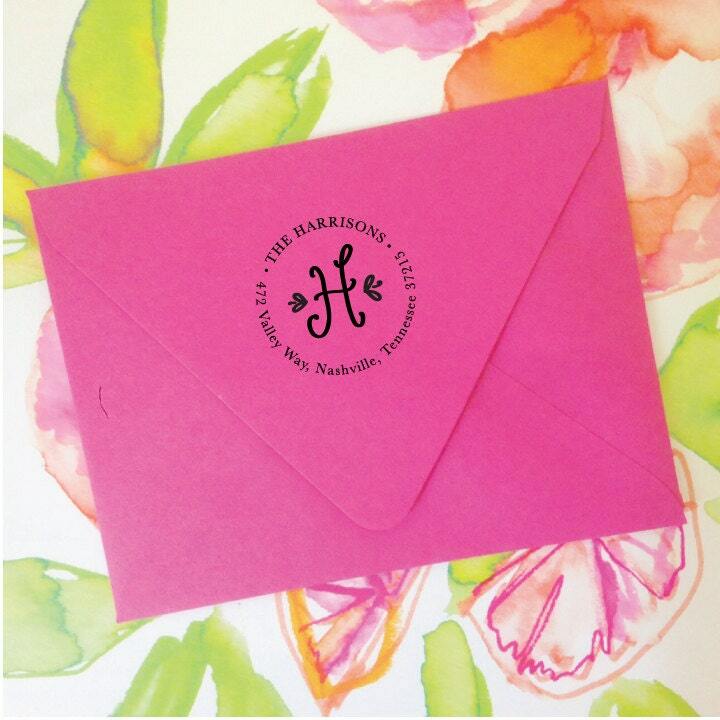 Each initial is hand-lettered by Natalie and then a stamp die is created with your information. 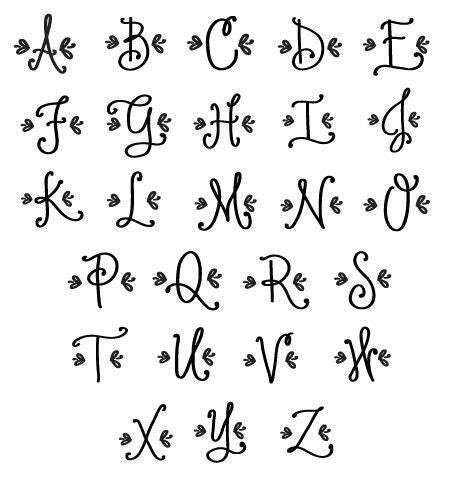 See image for what your initial will look like! 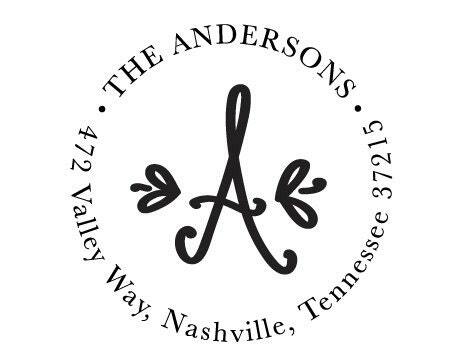 Stamp will be made in the typestyle and layout shown - Monogram used will be the initial of the last name, unless you specify otherwise. Imprint measures approximately 1 5/8″. Stamps include a black ink cartridge for thousands of impressions.